TFA operates with the specific purpose of providing temporary workers to schools that are responsible for educating our country's children, and specifically, children who are living in impoverished areas. Their five week training period and two years of service do not insure that best practices are being used in the classroom and undermine the ideology that schools need the stability to best serve students. 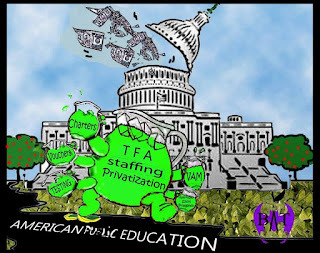 Additionally, the overall agenda of Teach for America includes relationships with the charter school industry and advocacy for high stakes testing. These are two reform items that have and are continuing to have a devastating effect on our public school foundation. Teach for America uses its teaching program as a direct line into legislative assistant positions through the Capital Hill Fellows Program. We are taking a strong stance against the practice of hiring former Teach for America employees for any position that allows them to influence educational policy. Doing such ignores the voices of true educators with a background in education and experience in the classroom. 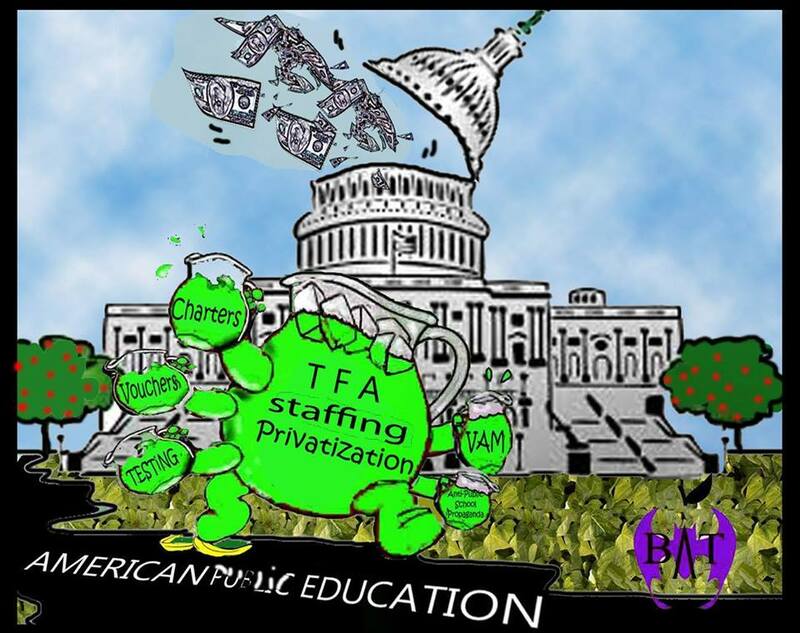 At this point in time, as the agenda of private parties is showing direct attempts at using the school system for personal gain it is necessary to examine what policies TFA supports and whether these policies are truly what we want for our nation’s schoolchildren - rich, middle-class or poor.